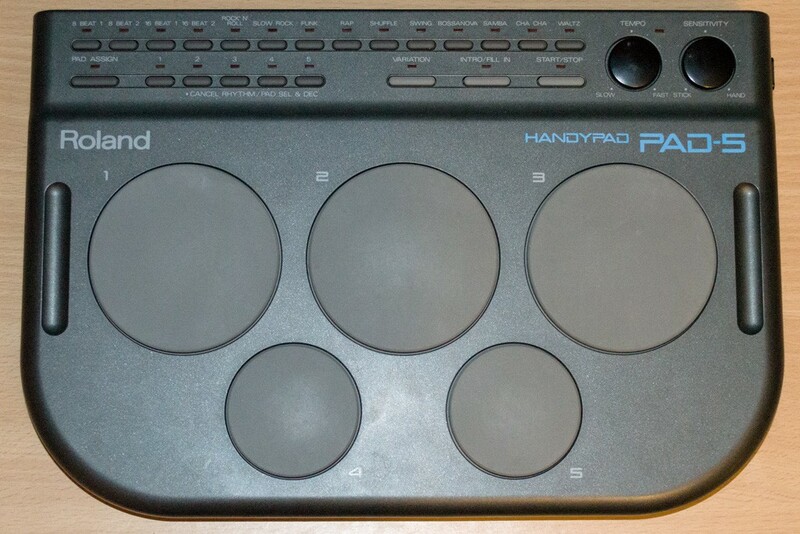 A very spontaneous purchase, I picked up a Roland Pad-5 midi controller which I didn’t know existed before seeing it listed on eBay. 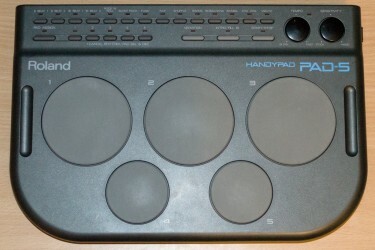 It’s halfway between a toy pad, such as the Yamaha DD series, and a more professional pad like the Octapad style. Although it states you can use drum sticks on it, in my opinion the pads are too small for this purpose, this controller is for fingers and thumbs like a tabla or conga style interface and a very good one! It responds well to pressure making it very expressive on a huge range of sounds from velocity-switching drum sounds and synths to any samples you fancy playing, adding an alternative to keyboard input.